Je n'ai pas pris ces photos. Et pour cause, je n'existais pas. Ce sont de vieilles diapositives de mon grand-pÃ¨re. La premiÃ¨re c'est mon arriÃ¨re-grand-pÃ¨re Ã la pÃªche et la seconde, mon grand-pÃ¨re sur une plage sans fin dont seule la mer du Nord sait s'entourer. Every picture tells a story. Here are old slides from my family. 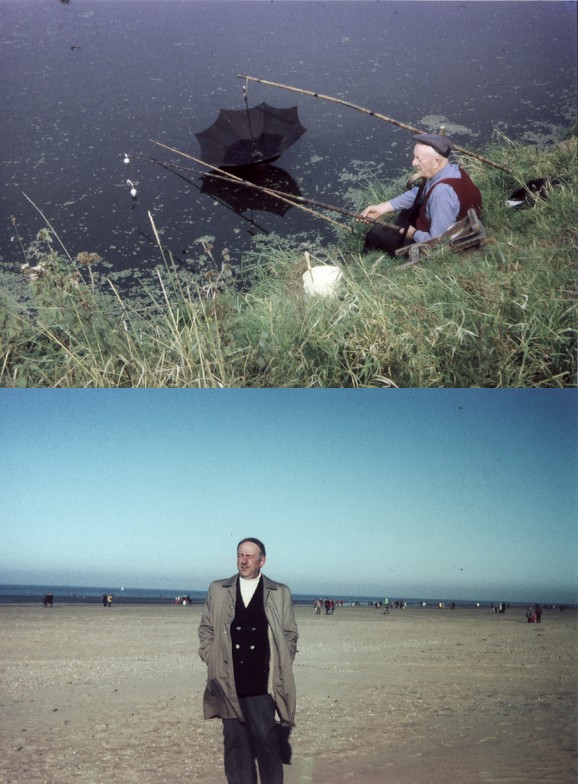 On the first one my great-grandfather is peacefully fishing and on the second one my grandfather is walking on an endless beach of the mer du nord.